Update the From email id,password and to email id with your email information. + "\n\n No spam to my email, please!" 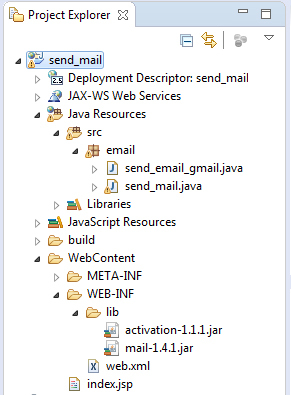 If you run the send_email_gmail.java as Run as Java Application for first time. You will get the Exception as shown below. To solve the exception above you have to enable access to your google account for less secure accounts. Run the below code as Java project. Update the email info with your email details.